What if 40% of corporate profits were generated by an industry still fundamentally reliant upon a technology introduced over 140 years ago by Alexander Graham Bell? This disruption of financial services is the focal point of the fintech revolution, integrating digital technology for the modern economy and investor. Traditionally, retail banking positioned itself as the sole access point to financial markets. If an investor wanted market exposure, these market actors were the only game in town, and this de facto monopoly has remained unchanged for hundreds of years. Increasingly, fintech is questioning the viability of this antiquated business model, leveraging digital technology much as Uber, Netflix and Amazon have to disrupt static industries. Here are four reasons the fintech potential remains as yet untapped. While algorithmic and high-frequency trading garner much attention, the majority of consumer finance is a patently low-tech affair. This tech aversion is one of the primary reasons the fintech revolution can compete on such a wide economic front, and it largely stems from the highly regulated nature of financial services. Historically, demanding regulation, while designed to safeguard investors’ interest, had the unintended consequence of serving as an economic barrier to entry. These protections insulated large swaths of the financial industry from outside competition and from the need to innovate.This technological stagnation in financials is even reflected in its price action. In this chart, the financial sector exhibits only a weak correlation to technology as compared to the S&P 500 Index, lower on average by 0.277 points. This tenuous correlation suggests a fundamental disconnect between the financial and tech industries. As a parallel example, consider the deregulation of the U.S. airlines in the late 1970’s, where the removal of market barriers revealed the industry to be inefficient, even unprofitable, when faced with upstart competition. As a result of these longstanding market protections, it is not a few select segments of financials, but rather the industry indiscriminately, that is vulnerable to digital disruption. Finance’s historical aversion to tech adoption fosters a vast array of market opportunities for fintech, affording a wide range of revenue streams. While digital payments is perhaps the most mature fintech segment, itself a $450 billion industry, some of the most aggressive fintech activities focus on customer origination and sales, which accounts for 60% of financial revenues. For instance, a number of markets have emerged oriented on retail banking and accessing the underbanked, including automated or “robo” advisories and digitalized deposits. 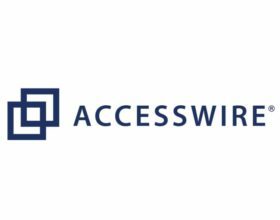 Alternative lending platforms, specifically peer-to-peer lending, seek to provide improved access to credit, and this segment entered 2016 with a 128% annual growth rate. Likewise, mortgages, asset trading, and intelligent wealth management are other consumer finance activities targeted by fintech as well. In this way, fintech represents a radical democratization of the tools and instruments of finance, using digital technology to break down antiquated, and costly, market barriers. 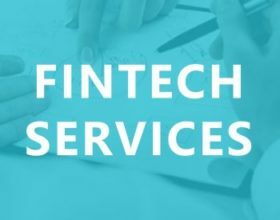 In addition to client-based solutions, the fintech market also concentrates the collection and aggregation of financial data on an unprecedented scale, enabling the growth of a more data-driven financial sector. These intelligent, real-time data sources influence fields ranging from capital markets to consumer behavior, from credit assessment to smart compliance, even risk exposure. The fintech industry is therefore diversified in its market focus, yet unified in its aim to modernize a historically tech-starved financial sector. The National Crowdfunding Association of Canada (NCFA Canada) is a cross-Canada non-profit actively engaged with both social and investment crowdfunding stakeholders across the country. NCFA Canada provides education, research, leadership, support and networking opportunities to over 1500+ members and works closely with industry, government, academia, community and eco-system partners and affiliates to create a strong and vibrant crowdfunding industry in Canada. Learn more at ncfacanada.org.